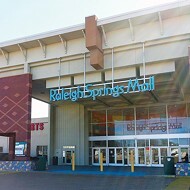 The enormous site that was once home to the Raleigh Springs Mall could soon become a town center. 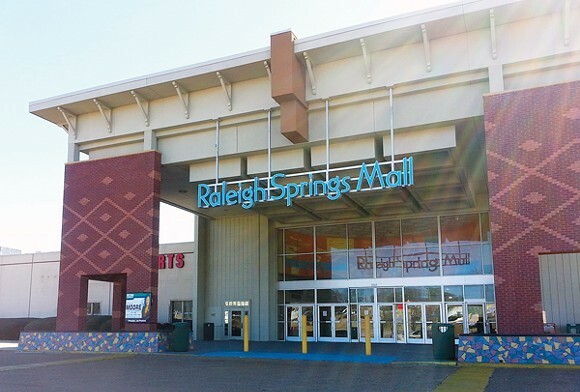 The much-delayed Raleigh Springs Mall project could clear a final hurdle in a couple of weeks, an event that could make the city’s vision for the area into a reality. A tentative agreement has been reached between the city and one of the last remaining property owners in the mall area, said Memphis City Council member Bill Morrison. The agreement only needs the blessing of Shelby County Circuit Court Judge James Russell, who is set to review the matter on Friday, Nov. 18. Morrison and Memphis Mayor Jim Strickland brought the news to a large crowd gathered in Raleigh Thursday night. That crowd, Morrison said, has been patient with and committed to the project for years, attending countless hours of city council and community meetings. The city council approved a vision plan for the Raleigh Redevelopment Project in November 2013. A year later, the council approved $23.7 million for the transformation project. 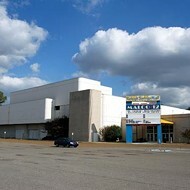 City leaders want to raze the old mall. In its place would be a town center with a “state of the art” library, Morrison said, and a “world class” skate park. A new Memphis Police Department precinct in the building would replace the Old Allen Station. A one-mile walking trail would surround the entire campus, which would include a large water feature that Morrison said will also serve as a retention pond that will save about 600 homes from a 100-year flood event. The campus will also feature a community orchard and pecan grove. Should Judge Russell sign off on the city’s agreement, Morrison said he hopes demolition would begin in January and the building would be completely gone by April. Should construction begin in the summer, the project could be open by summer 2018, Morrison said. But the entire timeline is tentative, he said. Morrison had another, smaller piece of good news for Raleigh residents Thursday. A new sign will welcome visitors there. The state has given the city a small tract of land off Austin Peay to erect a large sign to read: “Welcome to Raleigh.” The sign will be landscaped and lit with solar power, Morrison said. All of this comes as the area is “making a comeback,” Morrison said. He said a vacant strip center along Austin Peay will soon be completely occupied. Another empty strip center is being renovated. Also, he said, a Smoothie King has moved into the former (and vacant) Burger King location there. “[The town center project] will just accelerate all of that progress in the area,” Morrison said. Mall Plan would give Raleigh "a fighting chance"